Louis (Gaspard Ulliel) hasn’t spoken to his family in years. But now that he is terminally ill, he wants to see them and let them know that he is dying, and soon. So he leaves his boyfriend in the big city and makes his way home to his mother Martine (Nathalie Baye), his older brother Antoine (Vincent Cassel) and his wife Catherine (Marion Cotillard) – who Louis never met before – and finally his little sister Suzanne (Léa Seydoux) who barely remembers him at all. But the reconciliation Louis is most likely hoping for is overshadowed by old resentments. 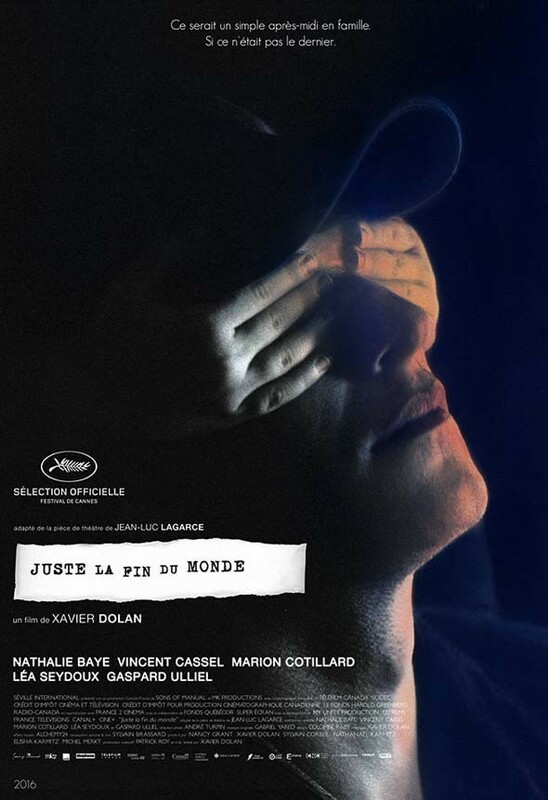 Juste la fin du monde is probably the weakest of the Dolan films I’ve seen so far (which is not all that many, unfortunately). It’s still above average, but I’ve come to expect more of Dolan than what the film gave me. Callum Lynch (Michael Fassbender) was sentenced to die. But the Abstergo Company fake his death instead and bring him to Madrid. As Abstergo’s CEO Rikkin (Jeremy Irons) explains, Cal’s ancestor belonged to a brotherhood of assassins, and they need him to access his own genetic memories to find the Apple of Eden, an artifact that belongs to the Templars and that has been historically protected by the Assassin’s Creed. Cal is more than reluctant to participate until Rikkin’s daughter Sofia (Marion Cotillard) puts him into the Animus – a machine that makes it able to access his genetic memories. 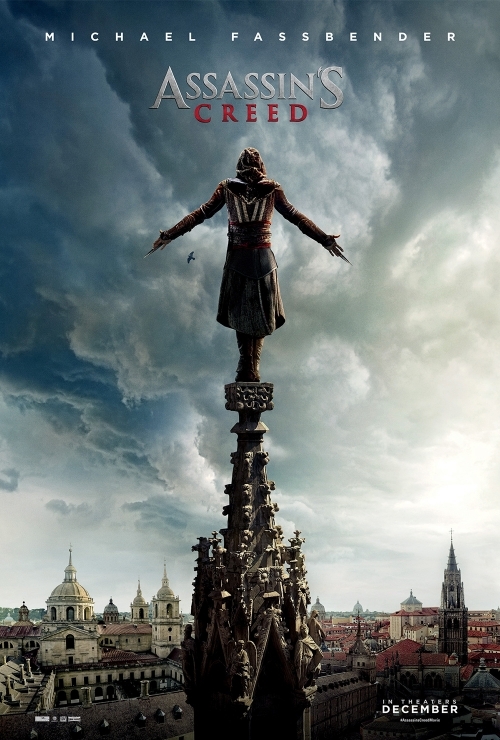 Assassin’s Creed was impressively nonsensical and it was far from pretty enough to make up for the incredible stupidity. I saw it on January 5th and it was clearly one of my biggest mistakes of the year that I did not bring alcohol to the screening. Avril (Marion Cotillard) comes from a family of scientists. But scientists are an endangered species in her world, one of the reasons why everything is steampowered: scientists go missing all the time. And then Avril’s parents and her grandfather disappear, too. Avril is left alone with her cat Darwin (Philippe Katerine) who at least is able to speak due to some experiments. She is dead set on figuring out what happened to her parents. But it is only when small time criminal and police informant Julius (Marc-André Grondin) threatens Avril’s existence that things really start to get moving. 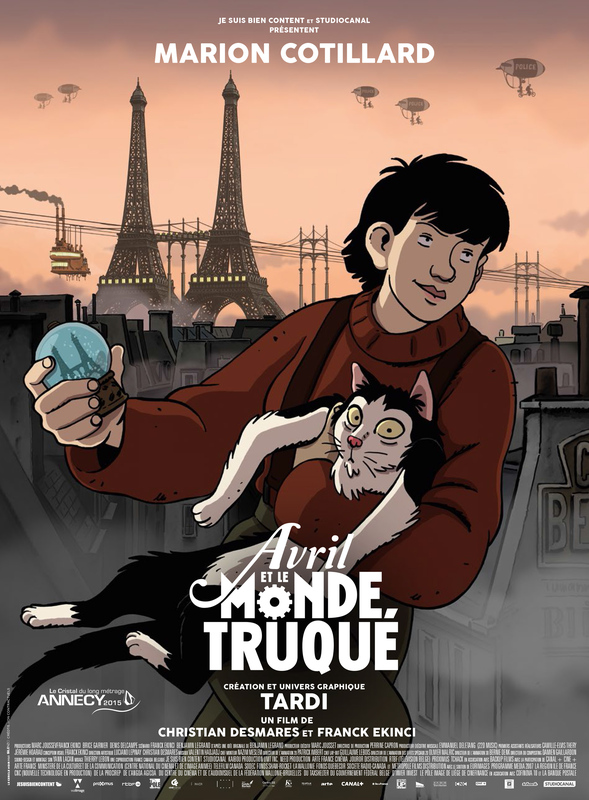 Avril et le monde truqué is a sweet, fun film and will probably warm the cockles of any heart that appreciates steampunk and (talking) cats. If that sounds like your thing, you should definitely see it. The Little Girl (Mackenzie Foy) moves into a new neigborhood with her Mother (Rachel McAdams). Her Mother is a hard worker and she has big plans for the Girl, plans that need her to work very hard to achieve them. The Girl is motivated. But there’s also her strange neighbor, the Aviator (Jeff Bridges). The Aviator tells her the story of The Little Prince (Riley Osborne) whom he met many years ago. Bit by bit, the Aviator and his stories become more important to the Girl than her Mother’s plans. 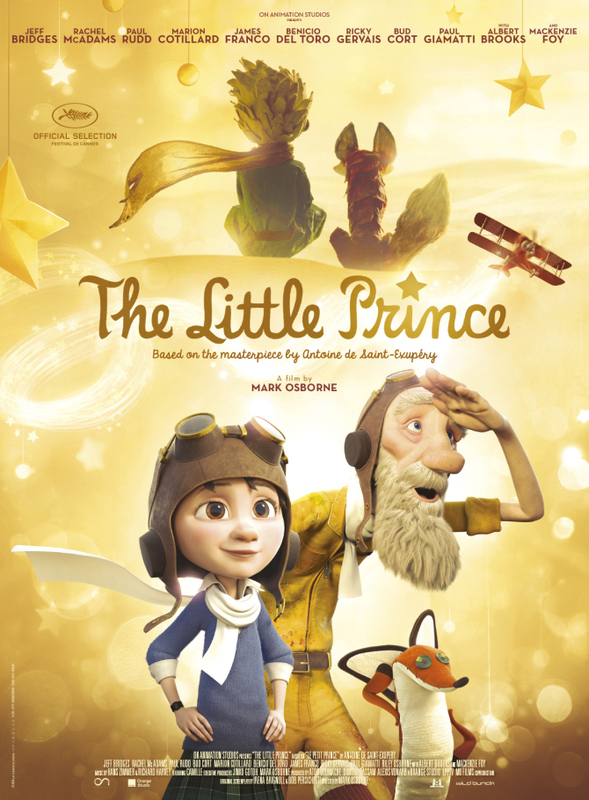 The Little Prince is not so much an adaptation of the original novella as an extension and an expansion of it (you could say that it’s fan fiction). It’s a beautifully crafted film that harnesses the original message and reinforces the capitalism critique in it. I loved it. Macbeth (Michael Fassbender) and Banquo (Paddy Considine) just fought successfully for King Duncan (David Thewlis) and are finally on their way home. In the woods, they meet four witches (Kayla Fallon, Lynn Kennedy, Seylan Baxter, Amber Rissmann) who predict, among other things, that Macbeth will become King. Spurred on by that prophecy and uncontent to just wait for it to come true, Macbeth and his wife (Marion Cotillard) hatch the plan to help things along when Duncan comes to visit. But murder comes with moral consequences – and it might not be the only thing necessary to make Macbeth King. Macbeth unfortunately was an absolute disappointment. 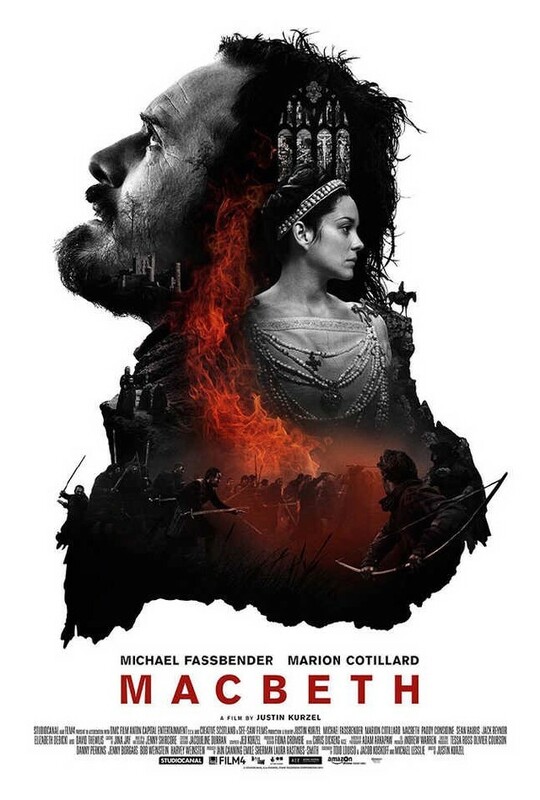 I don’t think I have ever seen a more monotous film, and that with Macbeth as your basis as well! 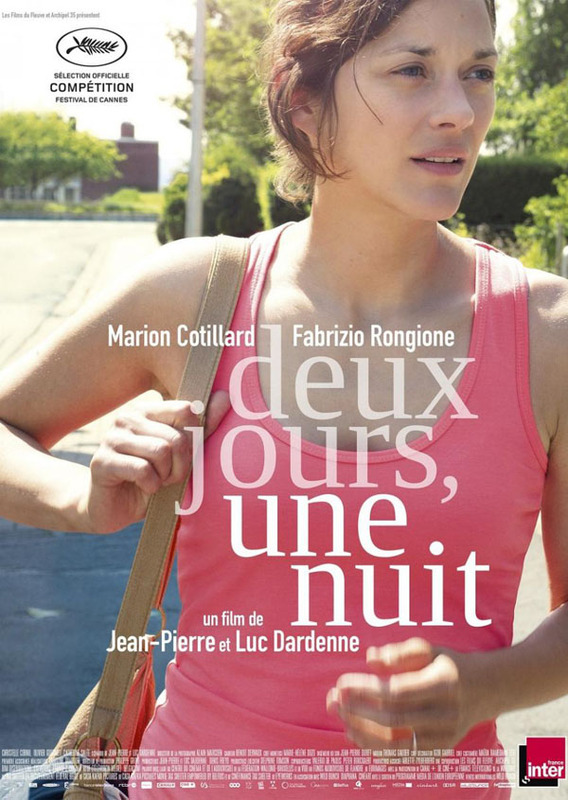 Due to depression Sandra (Marion Cotillard) has been unable to work for a while but she’s about ready to come back. That’s when she hears that her co-workers had to choose by vote between her returning to work or them getting a substantial bonus each, and they chose the bonus. Her friend Juliette (Catherine Salée) helps her to convince her boss to take the vote again on Monday, giving Sandra two days time to convince enough of her co-workers to vote for her to keep her job and forgo their bonuses. Deux jours, une nuit has a simple set-up and structure, but one it uses extremely effectively to tackle very complex issues in a thoughtful manner. I loved it. Ali (Matthais Schoenaerts) was just recently put in charge of his son Sam (Armand Vedure). Completely overwhelmed by the situation and having no money at all, he leaves his home and moves in with his sister Anna (Corinne Masiero). There he finds a new job as a bouncer, through which he meets Stéphanie (Marion Cotillard) who declines his advances. While Ali moves from job to job, the only constant in his life his passion for boxing, Stéphanie’s life is shattered when she has an accident at the aqua park and loses both her legs. In her desperation, she calls Ali again and the two of them become friends. Rust and Bone is a beautiful film, both to look at and to experience. 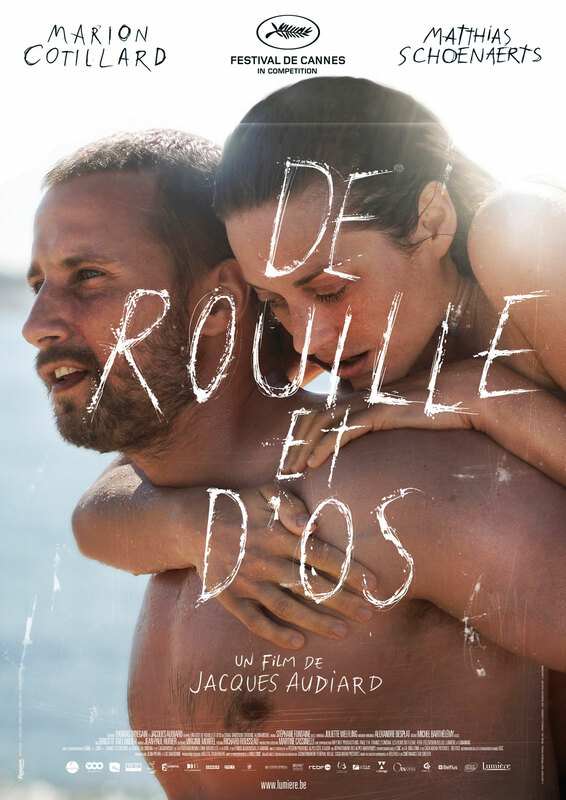 It hits all the right notes, and both Ali and Stéphanie are extraordinary, intriguing characters, played to perfection by Schoenaerts and Cotillard. 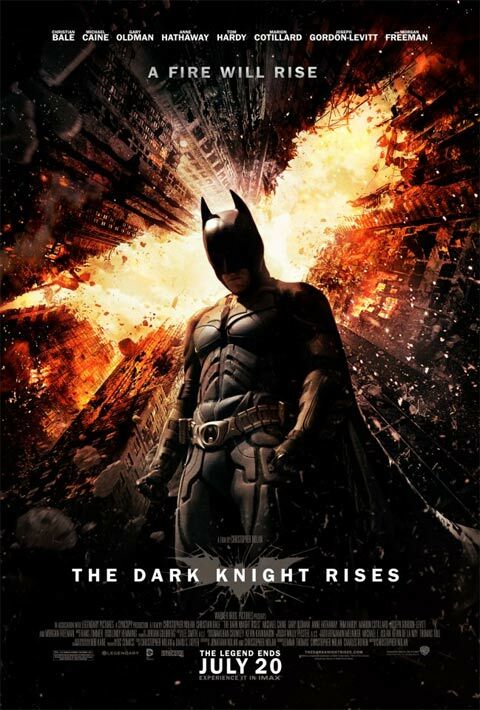 Batman (Christian Bale) disappeared after taking the fall for Harvey Dent. But while Gotham City is getting cleaned up by the regular police now – and quite successfully so – a new threat is rising in the form of Bane (Tom Hardy). And when Bruce Wayne himself gets robbed by a Selena Kyle (Anne Hathaway), a cunning cat burglar, he decides that it might be time to come out of the retirement and face the world again. I had very high expectations for this film (I mean, who hadn’t?) and while the film did not surpass them, it fulfilled them extremely well and was a very good ending to the trilogy. Beth Emhoff (Gwyneth Paltrow) travels home from a business trip in Hong Kong. But almost as soon as she reaches her husband (Matt Damon) and son, the cold she brought from Hong Kong turns out to be much worse and is, in fact, the beginning of a worldwide epidemic. 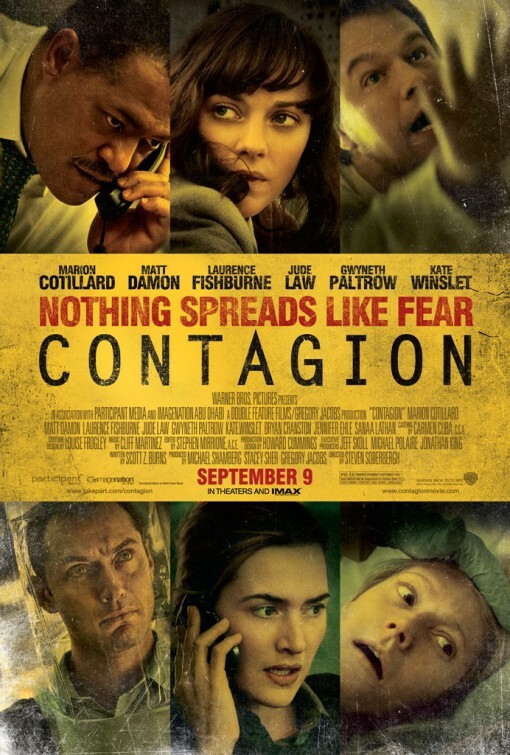 While people around them start dying the CDC sends an agent (Kate Winslet) to Boston, while the WHO sends one of their people (Marion Cotillard) to Hong Kong in a desperate attempt to find a cure – and quickly. In Contagion, Soderbergh dodges most of the classic movie conventions on how to tell his story. Instead he makes a film that feels so utterly realistic that you can almost believe it to be a documentary. That is not only impressive per se, it also makes for an excellent film. Midnight in Paris is the newest movie directed and written by Woody Allen, starring Owen Wilson, Rachel McAdams, Michael Sheen, Tom Hiddleston, Alison Pill, Corey Stoll, Kathy Bates, Marion Cotillard and Adrien Brody. Gil (Owen Wilson) is a screenwriter who is trying to write a novel. When he travels to Paris with his fiancée Inez (Rachel McAdams), he feels inspired by his surroundings. Inez on the other hand seems to only want to spend time with the pretentious Paul (Michael Sheen). One night Gil goes for a walk on his own, gets picked up by a car and ends up in Paris in the 1920s , his favorite period where he meets F. Scott (Tom Hiddleston) and Zelda Fitzgerald (Alison Pill), Ernest Hemingway (Corey Stoll), Gertrude Stein (Kathy Bates), Salvador Dalí (Adrien Brody) and many others. But then he meets Adriana (Marion Cotillard) and they really hit it off. 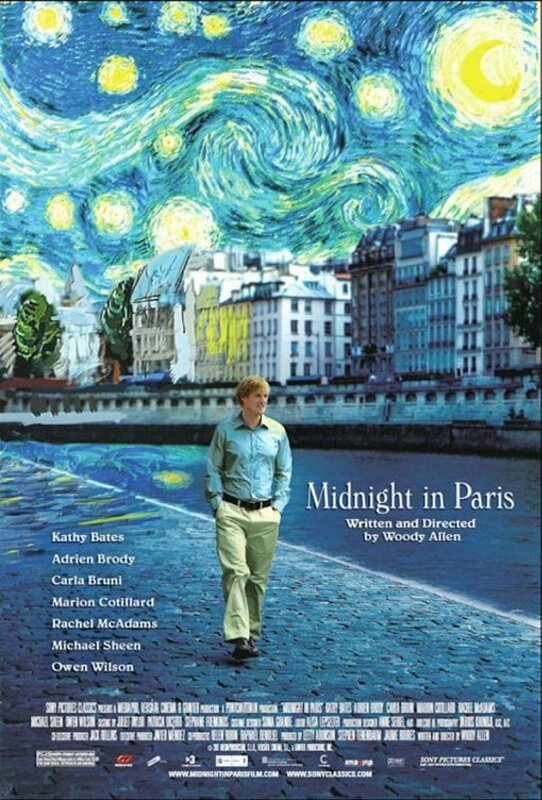 After the last few Woody Allen movies I saw and really didn’t enjoy, I was unsure whether to watch Midnight in Paris at all. But the cast drew me in and thankfully I did enjoy it more than I feared I would.